I have a few Lancôme products I love to share with you today. As you certainly already know, this year Lancôme launched a new line of polishes, called Vernis in Love, with enhenced formula and a new brush. 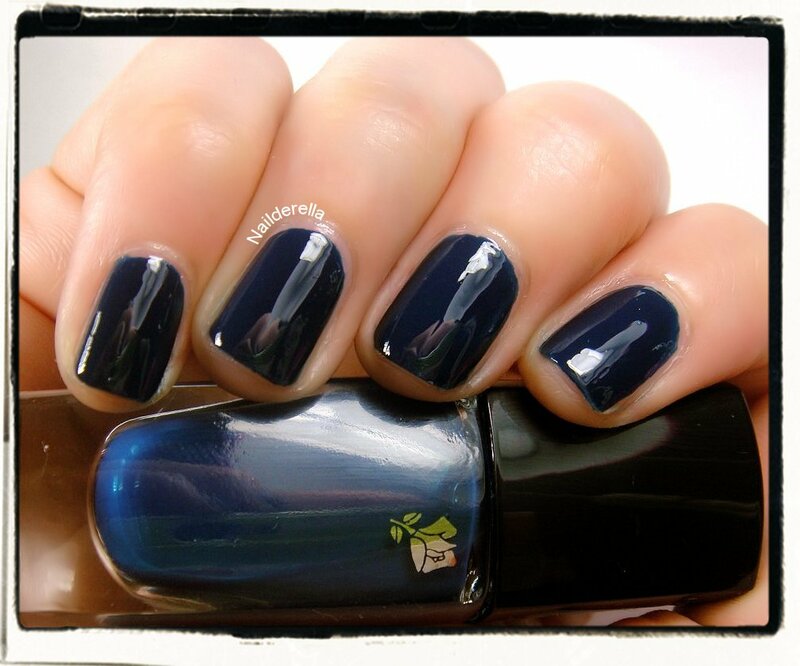 I've already showed you Bleu de Flore in a previous post and told you how much I love this polish! Today, I'll show you 2 other Lancôme polishes! First one is called 453 Infusion de Prune. It's part of the new Lancôme Limited Edition for fall 2012, Midnight Roses. Infusion de Prune is a gorgeous dark plum creme, perfect for fall. It's not too dark, there are even some raspberry undertones that make it very lively! For me, it's the perfect plum color for fall! The polish is well pigmented, you could nearly go away with one coat but I did 2 to make it perfect. Application was a real dream, it applied like butter and the brush is really convenient for a quick and clean application! And the second polish I'd like to show you is 501B Aquamarine. I was lucky to win this polish in a contest I took part some time ago!! This polish is part of the standard Lancôme polish range. 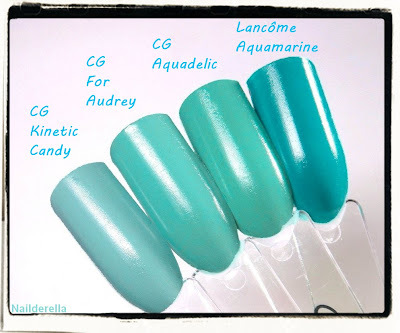 Aquamarine is a teal creme. Blue is more prononced than green in this pretty creme and I have nothing similar or even close to it. It has a lot of depth and it is very eye-catching! It's such a gorgeous color! I sincerely love it!! Application was the same as for Infusion de Prune, perfect! 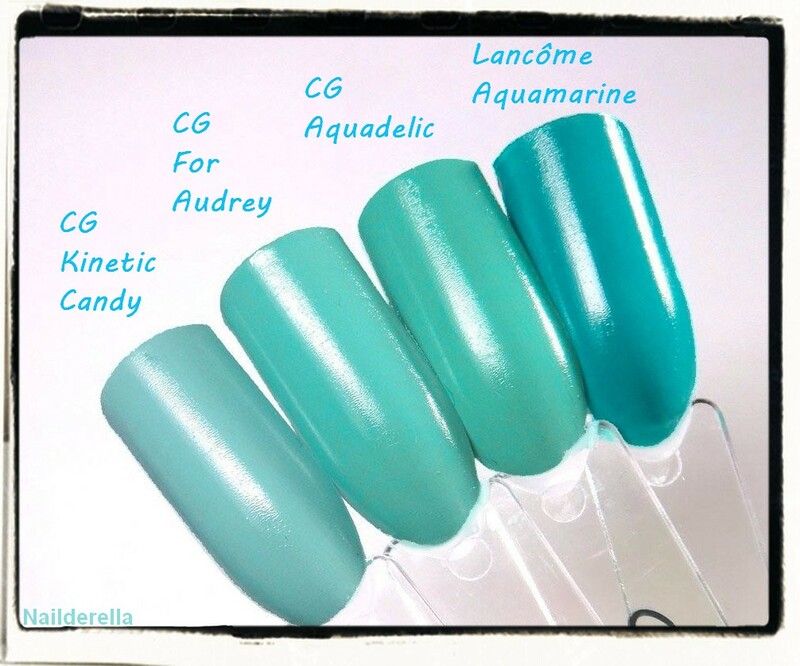 I have here a very quick comparison of Aquarmarine and some China Glaze that I thought would be close to it but as you can see they are all different. The China Glaze are more green-toned. All the polishes together could make a great skittle mani!! I did a full review on Bleu de Flore here. Basically, I said I loved this polish! I forgot to add that it stains your nails if you do not wear a base coat! I didn't notice it because when I wore it, I used a base coat and it was fine, but some days ago, I used it as a base color for a glitter combo I wanted to swatch and skipped the base coat....so don't do this, always wear a base coat when you use this polish and you won't have any problems! And finally, I wanted to show 2 lipsticks, also by Lancôme, that I truly love. The first one is also part of the gift I received from Lancôme as a prize for the contest. It's called 351B Rose des Soupirants. In the tube, it looks very red but one the lips, it's more of a medium pink with some red undertones. It enhances the natural color of the lips and gives a very natural look. It doesn't dry the lips and it is very, very comfortable to wear. It stays on the lips for a few hours, you may want to apply it again after eating or drinking but I was honestly quite pleased with its lasting power. 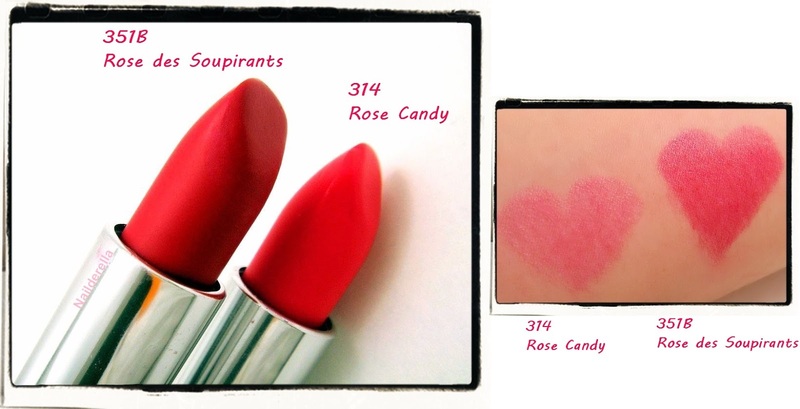 And the second one is part of the Limited Edition Roseraie des Délices (Spring 2012) and is called 314 Rose Candy. Rose Candy is a "Le French Touch" lipstick and promises a gourmand color and bare lips senstation. I was lucky to find this lipstick in a clearance bag a few weeks ago. And when I first saw it, I was a bit shocked at how bright it looked, almost a neon pink! Out of curiousity, I tried it on my hand and was surprised at how sheer it applied!! It left just a very light and sheer pink tone and this is something I absolutely love for lipsticks! So I took it home and I absolutely do not regret! I always carry it in my purse now and it's my absolute favorite lipstick! It's almost like a colored balm because it's very moisturizing and it leaves a very nice soft color on your lips, something that just brings your lips to life without doing too much. It's a great product for everyday life! 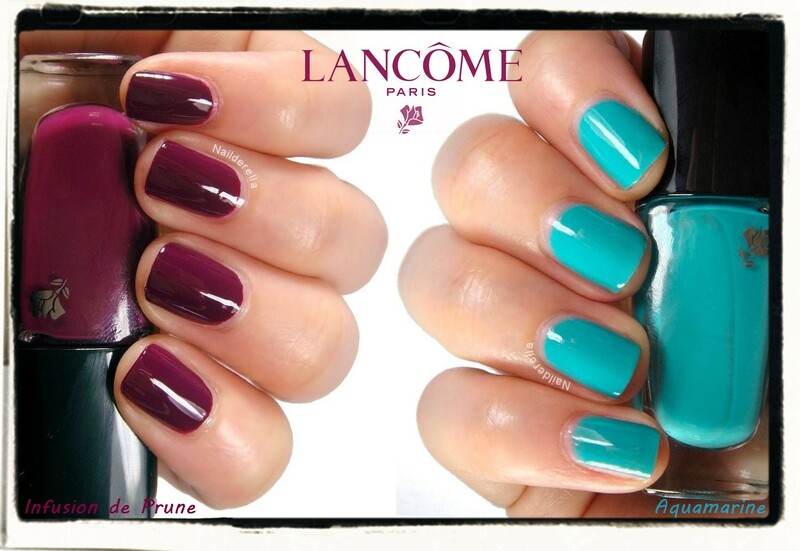 What do you think of Lancôme polishes and lipsticks? Have you already tried them?